You are here: Home / Make Money / Why You Should Be Using Ebates + Win a $100 Gift Card! Why You Should Be Using Ebates + Win a $100 Gift Card! November 20, 2018 By Elise 1 Comment This post may contain affiliate links. Please read my disclosure policy for more info. 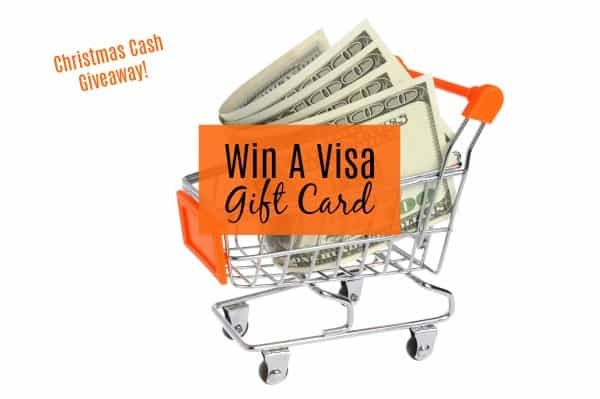 Ebates has kindly sponsored this post giving you the opportunity to win a $100 Visa gift card. All opinions are however, my own. I know I said I’d probably be offline this week, but I was talking with a representative from Ebates and they offered to host a giveaway of a $100 Visa gift card for y’all, and I couldn’t say no! Just sign up for an Ebates account here. To be completely honest, I’ve tended to hang back on deal and cash back sites. Most of them are just not worth the effort it takes to earn back a little cash. There are just a few that I use, and that’s why it took me until late 2016 to get on board with Ebates, but since then, I’ve earned hundreds of dollars with them. It’s legit, and it’s easy, and with diligent use, you might just be able to fund Christmas next year with it. Ebates is the largest Cashback site on the ‘net, partnering with over 2,500 of the biggest name brands like Macy’s, Sephora, Kohls, Walmart, and more to give you cash back, coupons, and promo codes for free. All you do is click to the stores through the links found on Ebates, and shop like you normally would. It’s a single extra click, and through it, you earn up to 20% back on your purchases. It’s kinda like everything you buy is on sale. The Ebates Cash Back chrome extension helps you by automatically alerting you if cash back is available at the store you’re shopping at, applying the best coupons at checkout, and notifying you if a product is available elsewhere at a lower price. Plus, it’s completely free! If you’re shopping this Black Friday or Cyber Monday, earn cash back on top of the great deals you’re already getting by using Ebates! Thanks for the giveaway. I have been using Ebates for a long time now. LOVE all the cashback shopping!